✔ Students take Online Pre-Test. ✔ Teacher receives Instant Reports. ✔ Teacher uses Instant Reports to plan instruction. ✔ Teacher administers Online Post-Test. Results measure growth and provide accountability. ✔ Principal analyzes test results by teacher and grade. ✔ Administrator evaluates test results by school, teacher, and grade. School Principals and District Administrators... Valuable reports measure progress and provide accountability. 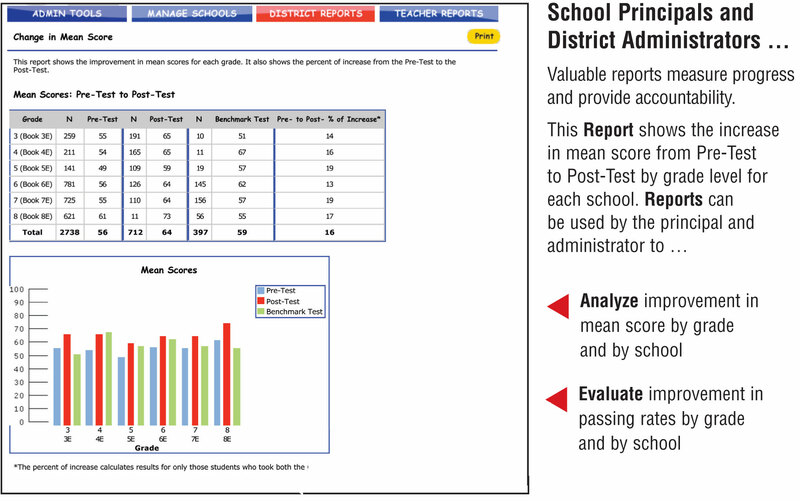 This Report shows the increase in mean score from Pre-Test to Post-Test by grade level for each school. 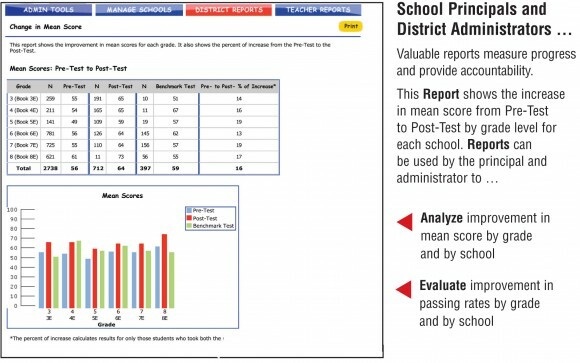 Reports can be used by the principal and administrator to... Accountability at All Levels.